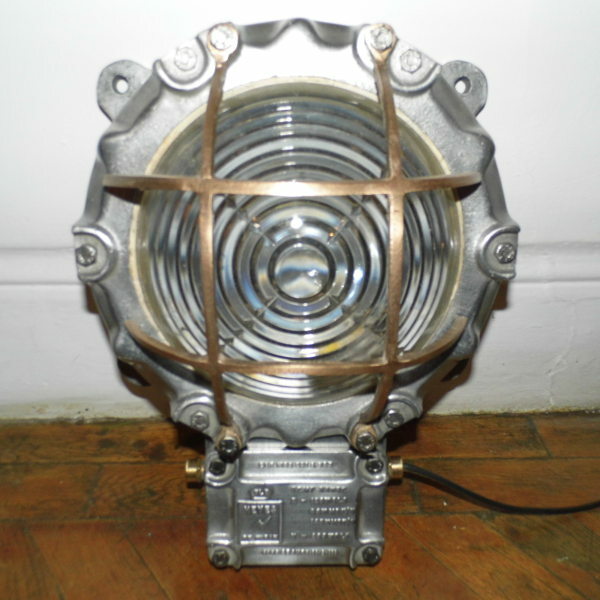 This is a superb and very substantial vintage bulkhead lamp. 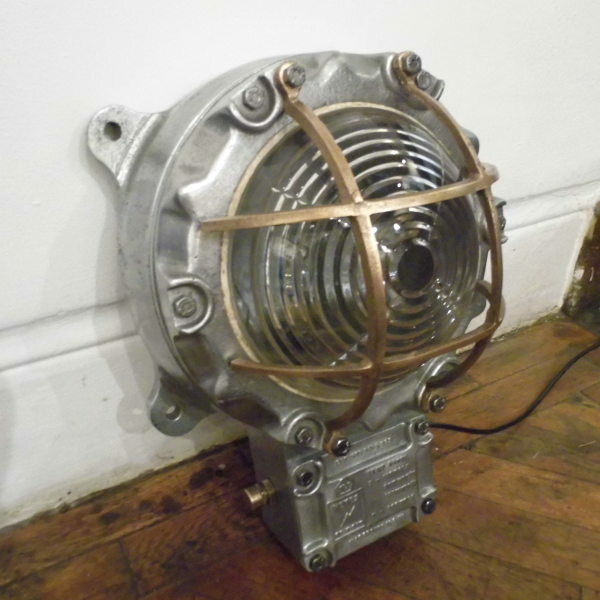 It is made of thick cast aluminium with bronze guards by Heyes of Wigan Circa 1950.Fire proof and shock proof for marine use. 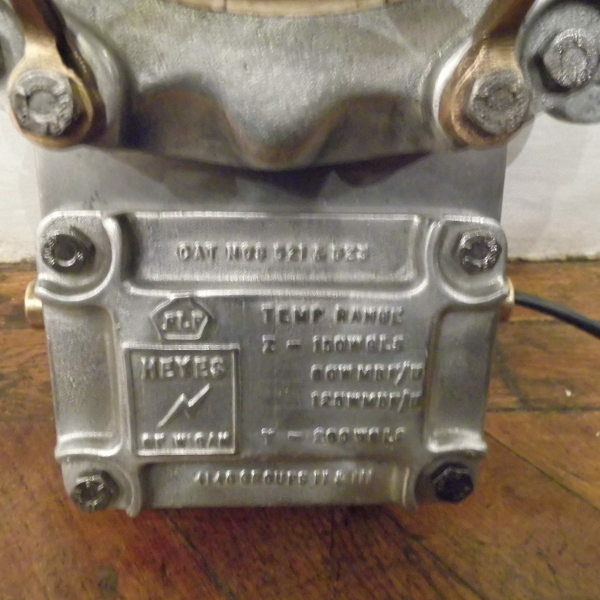 It is in excellent condition with it’s original prismatic lens and has been rewired for UK use. The price includes postage and packing to the United Kingdom. Please contact us on the above number or at spkluth@aol.com if you wish to pay by Tranfer, cash or cheque. Contact us on 07717583908 or using the form below. Simon Kluth 2014. Travers Antiques Alfie’s Antiques Market. Stand F075 13-25 Church Street London NW8 8DT.